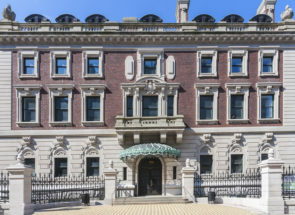 EW Howell worked with the Smithsonian Institution to restore the Cooper Hewitt, Smithsonian Design Museum located in the Carnegie Hill Historic District on Manhattan’s Upper East Side (“Smithsonian Carnegie Mansion project”). 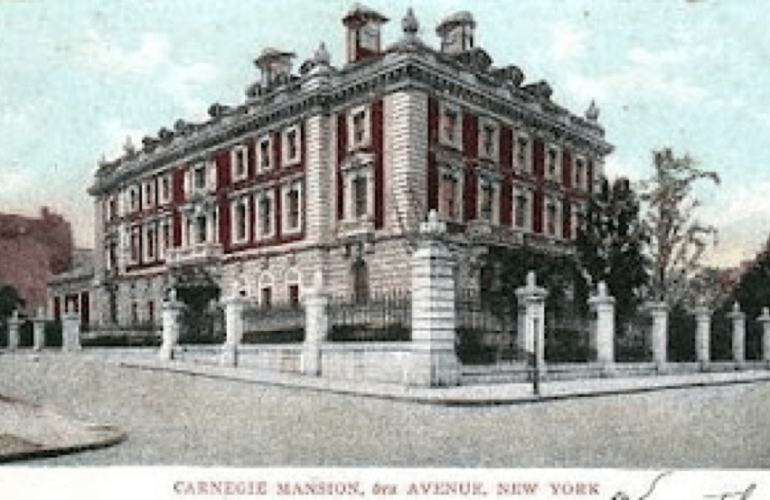 Designed by Babb, Cook, and Willard in 1902, the museum occupies the former home of Andrew Carnegie on Fifth Avenue and 91st street and is listed on the National Register of Historic Places. The campus also includes two historic townhouses on East 90th Street and the Arthur Ross Terrace and Garden. The renovation expanded exhibition space by 7,000 SF by converting the third floor of the Mansion, currently the library, to new contemporary galleries, and moving the library to two adjacent townhouses while improving gallery spaces and infrastructure at the Mansion and townhouses. The Mansion project included new freight elevators, new registrar offices and new art conservation labs. Important public spaces such as the main stair accessing the gallery floors, café, and restrooms were renovated and expanded to enhance the visitor experience. The project was designed and built to achieve a silver rating from the USGBC. Quality and craftsmanship for the National Design Museum were of the utmost importance. At the start of the project, a partnering session was held between the owner, architect, and contractor to set expectations and goals for all parties. It was determined early on at this meeting that creating a museum quality space including mechanical, electrical, and life safety systems within a landmarked building was the mutual goal of all parties and would pose numerous challenges. EW Howell hired an architect to manage the quality control process who worked closely with all of the subcontractors. This included doing detailed shop drawings of every wood floor parquet pattern, to exactly replicate its original design. The majority of the project was considered to be a Level 5 finish, or of the utmost historic importance, and required special attention from restoration contractors and conservators. The quality control team from both EW Howell and Smithsonian was on site daily to monitor all new work. EW Howell hired a nationally renowned conservator, Mary Jablonski to assist and advise on particular restoration procedures and techniques to restore the original building fabric. New galleries were checked to ensure that walls were straight, skimmed smooth, and all details were accounted for, however, the restoration aspects of the project required a unique level of craftsmanship. The specialized trades were to replace or restore the original fabric of the building. This included antique wallpaper, Con stone entrance arched ceiling work, wood paneling and historic flooring as well as restoring the antique light fixtures. Clear communication was essential to the success of this project. EW Howell takes great pride in working with a number of talented sub-consultants including Beyer Blinder Belle as the master plan and executive architect, Gluckman Mayner, design architects; Loring Associates, MEP engineers; Silman Associates, structural engineers; and Susan Brady Lighting Design; and collaborating with Diller Scofidio Renfro on the exhibition design. The “Teak Room” was originally a cigar room for Andrew Carnegie designed by Lockwood De Forest. The restoration of this room entailed restoration of heavily stained wall paper, gold leaf in painting and restoration of the existing ceiling, restoration of the fireplace, stripping and refinishing the walls, and cleaning and restoring decorative teak wainscoting and cornices. The flooring in this room was carefully sanded and refinished so all the original finishes would remain in this room. The room was then upgraded with modern light fixtures, and life safety systems including fire alarm, sprinklers and air conditioning. In addition to the teak room replicating over 10,000 SF of historic teak, 7,000 SF of historic oak flooring needed to be replicated while maintaining the quality with which it was originally installed and proved to be a tremendous endeavor. Care was taken to study and document the original floors prior to removal and each piece of flooring had to be specifically cut and measured to match the original floors. EW Howell photo surveyed and drew detailed shop drawings for every surface of the building we were affecting, to ensure the restoration was brought back the exact way it originally was. The project extended roughly 4 months past the originally projected completion date, due to early issues with abatement and existing structural conditions. Later the owner added additional mechanical and electrical upgrades as well as upgrades to the restoration and finishes. The additions to the project totaled over 10% of the original contract. The abatement issue was discovered during demolition in that the cinder Crete slab fill we were removing had contaminates and required special removal and disposal procedures. The main structural issue was in erecting the new freight elevator since the existing steel structure was out of plumb. Special modifications needed to be done to the existing steel to compensate for this condition. Another challenge was the refinishing of the historic perimeter fence. The owner was concerned not to disrupt too many of the neighbors, so EW Howell installed movable tarps in sections of scaffold that rolled down the side walk as each section of fencing was restored. This satisfied the owners request to minimize the side walk obstructions. It was very important to the museum to be good neighbors and we assisted any way possible. The museum required a clear path from the delivery entrance to the freight elevator into each gallery to load in exhibit crates. To accomplish this, at the delivery entrance the existing granite was trimmed back and refinished, a custom door was installed with a removable leaf, and a removable railing was installed. On the first floor of the gallery a 10’ x 8’9” pivoting wall was formed by creating a frame mounted on a Rixon Pivot and clad with the existing Scottish oak wood paneling to give the appearance of a finished space consistent with the adjacent walls. At the 3rd floor gallery, two operational soffits were installed by creating honeycomb boxes and cladding them with reused historic Scottish oak cornices. When the gallery is open to the public, the cornices appear to be permanent but can pivot out of place on a single point to allow the necessary head room for deliveries. The innovative construction techniques were the change to the architect’s design using structural steel angles to create the 3rd floor movable soffits. When we did the original calculations the size of steel and weight would not make it feasible to achieve what the design intent wanted for a completely hidden movable soffit. We came up with an aluminum honeycomb panel to create a box soffit requiring minimal structural steel. Not only did it achieve the design architects aesthetics but was also much lighter and easier to operate. A decorative fire stair was installed in a location previously occupied by an elevator and a fire stair. The goal was to create a new fire stair that would also push boundaries in design and encourage the public to use the stair as the primary egress for the building. To achieve this, a stainless steel rail with sweeping bends was installed throughout the stair adorned by a 60’ glass wall acting as a backdrop. The craftsman hand bent roughly 50% of the railings to create the desired effect. The glazing manufacturer provided over 25 custom samples and mock-ups to get to the desired aesthetic for the glass wall. A 60’ tall x 2 3/8” light was installed between two glass panels roughly 5’0 each in width to create the towering wall acting as the back drop to the stair. The stair was completely assembled in the fabricators shop and inspected by the architect for quality control; it was then disassembled and reassembled on site. The railing truly was a custom fabrication. The architect was not able to fully detail what they wanted, so many field mock ups were done to get to the ultimate final shape that was installed – much of it being custom fabricated on site. 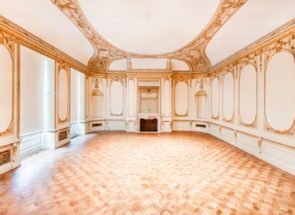 The conservation of the existing ceiling was considered the utmost importance however, the owner also required that new lighting, sprinkler systems, power, and art hanging systems be installed. In order to achieve these conflicting goals, the floors were meticulously documented and removed. Holes were carefully drilled up through the existing plaster & wood ceilings to locate the points on the floor above. Over 6000LF of pipe and conduit were installed beneath the new floors with only between 2” and 4” of space to work between existing concrete arches and the new subfloor. The sprinkler pipes were then boxed out and not permitted to be encased in any concrete. The electrical conduit roughing for power security and data was encased in concrete. Finally new teak and oak flooring was installed to match the original historic floors. The owner’s goal was achieved through incredibly detailed documentation and coordination between all parties including conservators, mechanical contractors, structural contractors, carpenters, and finishers. Another interesting challenge that required a team effort to overcome was installing a new elevator core within the existing building. One of the main support columns of the building was removed, requiring temporary footings and shoring to support the core of the building while the new steel was being installed. All of the mechanical systems had to be rerouted around the new core, which required multiple meetings with the sub-contractors and the mechanical engineers to coordinate. After the mechanical systems were rerouted and the demolition was complete, surveys of the existing steel determined that the existing structural steel was not where it was assumed to be. In the end, we were able to shift the elevator core 3” and remove space from the electrical closets, and modify some of the existing steel in order to meet the owner’s size requirements for the freight elevator. The main challenge with the elevator required shoring up the existing 4-story column holding up all the floors and roof of the building. EW Howell was required to design and install temporary bracing to support this column so the footing which conflicted with the new elevator pit could be removed and lowered. This required us to install our bracing, rather than imposing tremendous force on the beams to pre-deflect them so when the footing was removed and the weight of the building was supported on the beams they would not move at all. Working with the Museum management, the project team identified two major program initiatives: infrastructure and life safety improvements, and art handling and visitor enhancements. The specific challenge was to improve a historic structure originally built as Andrew Carnegie’s residence in the early 20th century to provide a 21st century museum quality environment within an accessible, sustainable and safe building. New mechanical/ electrical systems, fire egress stairs, ADA accessible routes and fire detection and sprinklers were carefully integrated into this National Historic landmark as unobtrusively and with as light of a touch as possible. The restoration of important interior spaces and the balance of contemporary interior design within the historic context is meant to convey the pluralistic and inclusive attitude of the National Design Museum. The master plan for the facility relocated most collections off-site, aggregated staff functions in the adjacent Fox-Miller townhouses with its own entrance. This allowed the Carnegie Mansion to be dedicated to the museum’s public uses. The Mansion has significantly increased exhibition space and improved art path circulation, allowing for more than one major show to be staged at one time. New retail and café spaces, stairs and elevators further enhance the visitor experience. A multi-phase plan was developed to logistically implement the improvements, incorporating separate construction projects at the Mansion, the Townhouses and an off-site storage facility. Installing a new elevator core and stair tower within an existing building created constant challenges with regard to enforcing and maintaining safety. To address these concerns a full time safety officer was assigned to the project. A robust, out-of-the-box introductory safety orientation was designed by EW Howell’s Director of Safety and each newly arrived tradesman/tradeswoman was treated & trained to the highest degree possible-specific to their own needs & understandings. Multiple tools were used to maintain a safe jobsite and act as a constant reminder to the trades including daily hot work permits, job hazard analysis being performed prior to the start of any tasks, safety lunches for the tradesman, training recommendations, and inspection of certifications. Strict adherence to Weekly Foremen/Forewomen Safety Toolbox Meetings was expedited. Topical safety subjects were broached, discussed and expounded upon prior to issuing a well-prepared sheet to be used amongst the members of given trades throughout the job-site. A specific drop-off spot within the building was provided for those who were not inclined to return completed materials back to EW Howell’s Safety Office within Trailer. Once these trades-personnel commenced working within the Carnegie Campus, consistent outreaches were made when & where necessary. This was done in order to reinforce the importance of living up to the fulfillment of both their OSHA and in-house, BEST practices safety trainings. When any infractions were encountered immediate constructive & instructive feedback was offered. For the occasional more recalcitrant cases, retraining sessions were mandated within our user-friendly Safety Office Trailer. The holistic goals of these sessions were to edify the given tradesman/tradeswoman of what is at stake. Overall, excellence in project safety was achieved by the incremental, day-by-day, creation of a culture of safety. During the course of construction, 21 Mississippi State students in their third-year of study in the Building Construction Science program took a weeklong field trip to New York, N.Y., with Professor Tom Leathem. Leathem coordinated site visits with Barry Lipsky, an MSU Alumnus, who owns Lipsky Construction Company Inc. and is a member of the program’s advisory council. Barry called on his friend Howard Rowland, President of EW Howell to arrange a tour of the Smithsonian Carnegie Mansion project. This visit was welcomed and facilitated by the Owner, and in the end the students got a great education about the NY Construction industry, and even got to visit a few other construction projects in Manhattan including the Freedom Tower. More recently EW Howell was integral to ACE’s 10th Annual Fall Cocktail Reception by offering to hold the event at the Smithsonian Carnegie Mansion space. The ACE Mentor Program introduces high school students to the full process of designing and building a project and to all facets of the integrated design and construction industry. A lot of coordination was required to get the necessary approvals from the Owner, but in the end the event was spectacular and very well attended. 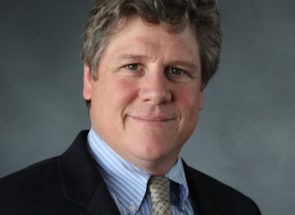 The event was held on September 17, 2015 and EW Howell General Superintendent, Bob Zirkel, even spoke at the event and educated the attendees about, space, and the challenges and successes of the project. EW Howell is well known for being a quality builder in New York for well over a century. It was an honor to be able to work on this prestigious project for a NYC historical landmark. The Carnegie Mansion project included preservation of a historical structure and EW Howell did everything possible to maintain the historical elements in and around the building. In the end, the spirit and character of the landmark building were preserved, with key elements restored to their original grandeur including the garden fence, stone, historic plantings and building structure etc. There were challenges to the project, some anticipated, and some unforeseen but EW Howell met them head on by establishing clear communication with the entire project team and offering solutions when issues arose. As a result, the former home of Andrew Carnegie now serves as a beautiful space for the Cooper Hewitt National Design Museum.